For sheer, concentrated violence the Sunapee-Kearsarge Tornado of September 9, 1821 was by far New Hampshire's worst weather event, ever. 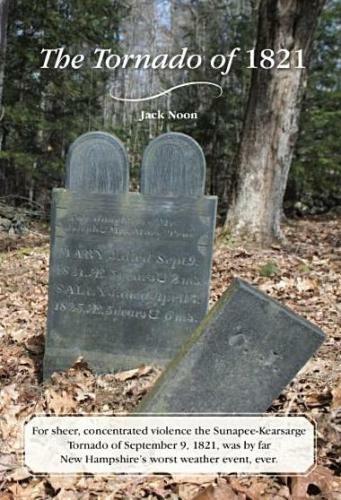 Jack Noon is a New Hampshire historian. The author of fourteen books of non-fiction and historical fiction, they include The Bassing of New Hampshire (1999), Muster Days at Muster Field Farm (2000), Fishing in New Hampshire, A History (2003), Lot Number 20, Eight Generations at the Muster Field Farm Museum (2014), and Up Moosilaukee (2000).